At the Law Office of Tina M. Barberi, PC, our DUI, criminal, traffic, and trial law firm stands out among other law offices in Fresno because we are dedicated to the needs of our clients and strive to obtain the best results for our clients. When you are facing traffic, criminal or DUI charges, you require an accomplished attorney that is devoted to your defense and will make sure you are receiving quality legal representation that is customized to you. There are important changes in the law, which are important when facing criminal or DUI charges in Fresno. Here is a look at some of the most relevant laws that could change the way you handle your case. Check back often to learn of other changes in the law and policy of the courts in California. To get accurate advice on your specific case, contact us for a free consultation. Previously, Penal Code sections 832.7 and 832.8 required defense attorneys to write long and difficult motions to obtain personnel records of peace officers and/or custodial officers that were otherwise confidential. Unfortunately, these motions were commonly denied. However, starting in 2019, these records will be available. AB 748 requires that law enforcement must produce video and audio recordings of “critical incidents,” when an officer discharges a firearm at a person. It also requires disclosure when there is an incident in which the use of force by a peace officer or custodial officer against a person resulted in death or great bodily injury within 45 days. Records relating to an incident in which a sustained finding was made by any law enforcement agency or oversight agency that a peace officer or custodial officer engaged in sexual assault involving a member of the public. Records relating to an incident in which a sustained finding was made by any law enforcement agency or oversight agency of dishonesty by a peace officer or custodial officer directly relating to the reporting, investigation, or prosecution of a crime, or directly relating to the reporting of, or investigation of misconduct by, another peace officer or custodial officer, including, but not limited to, any sustained finding of perjury, false statements, filing false reports, destruction, falsifying or concealing of evidence. The California Legislature passed into law which started on January 1, 2019, that can result in more penalties, including placing an ignition interlock device (IID) on your car. An IID is a device that is installed on your vehicle and requires you to blow into the machine before you can start your car. Since the law is so new, it is important to understand the requirements involved, including the judges’ ability to use their discretion in ordering the ignition interlock device on your vehicle, even for a first conviction for a DUI. Because the cost of the ignition interlock device can be expensive, it is important to determine if you are able to apply for a reduction in the fees for the breathalyzer device. 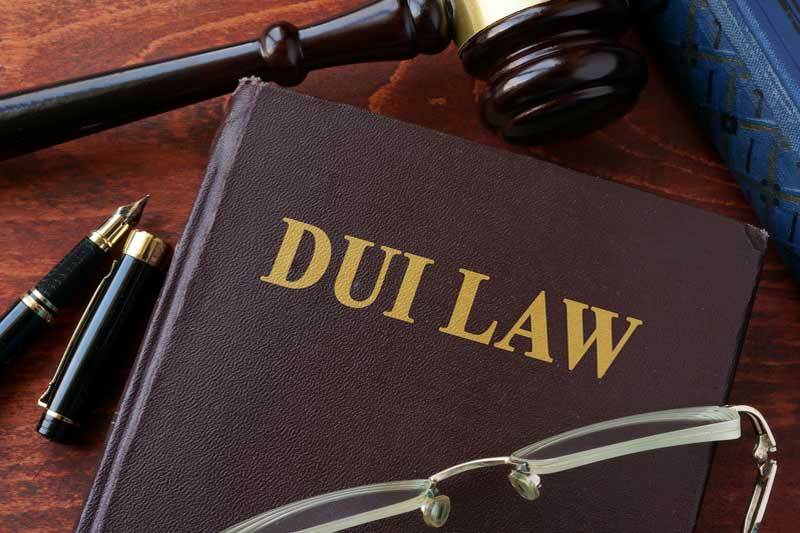 If you are facing drunk driving charges, see how the new IID law will impact you and your California driver's license. Our office is dedicated to making sure you understand the law and we will do whatever is necessary to ensure that you have your driver’s license, and show you options on how to avoid installing the IID, and a suspended license. Are you in the military or a veteran of the armed forces? If so, you may qualify for the military diversion program. At the Law Offices of Tina M. Barberi, PC, we understand the programs our military face and we are here to help you keep your record clean. We will take the necessary steps to get you qualified for the diversion program in order to keep your criminal record cleared and your arrest record sealed. Do not face criminal charges alone when there are programs that can help dismiss or reduce the charges against you. Contact our office today to see how we can help you get qualified and complete the diversion program. When you hire the Law Offices of Tina M. Barberi, PC, you will not only receive exceptional service, but we will devise a plan to accomplish your goals. We will work with you to make sure your case is handled with the care and dedication you deserve when facing criminal, DUI, or traffic charges. If you recently had police contact, it is important to contact our criminal defense lawyer as soon as possible, so we can work with you to ensure your rights are protected. We will be proactive with your case in order to reach the best possible results for you and your case.